I would like to thank Moving Company Thousand Oaks for their excellent service. Not only were they extremely careful and friendly but they were hardworking and professional. The moving crew made the day stress free for me and I would highly recommend this moving company to my friends and family. Moving Company Thousand Oaks is one of the leading moving companies in the Thousand Oaks area. We are a company trusted and recommended by many moving clients regardless of if you move to or from California. Our customer satisfaction is the one and only goal which inspires us to deliver the best. 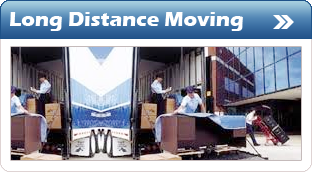 You will come across a number of moving companies which will promise you top class services. Most of them will advertise excellent moving services, but in reality it will be by far different from your expectations. Moving Company Thousand Oaks stands apart from these local moving companies. We keep our commitments from the beginning of your move, until the last item is unpacked and you sign off that the work is completed. We offer free and accurate moving estimates to our customers and unlike other moving companies we are never late on the moving date. Our movers take special care in wrapping and packing your fragile items and delicate furniture. We have a spotless and damage free reputation. Why Moving Company Thousand Oaks is the best local moving company? - One-stop shop for all the moving needs.